In October 2016, Autodesk opened the BUILD Space in its new offices in Boston's Seaport neighborhood. 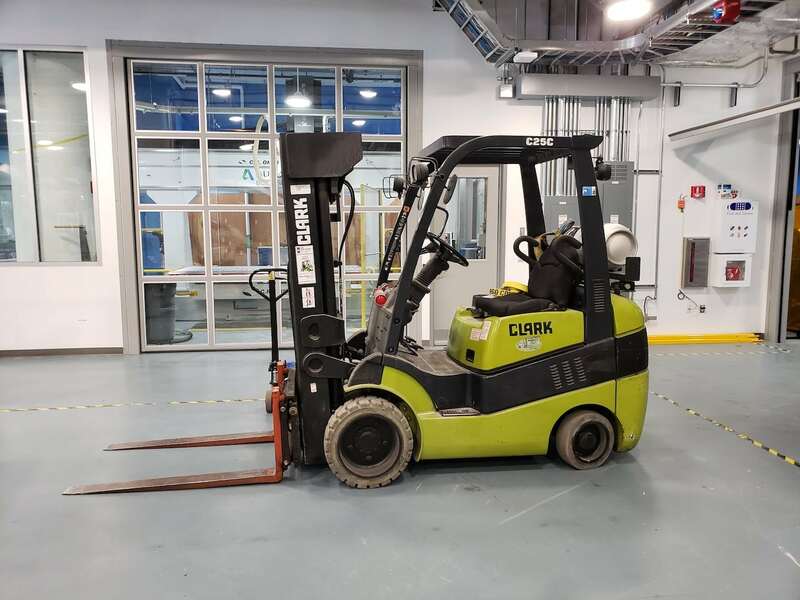 The BUILD Space consists of 34,000 square feet of desk and workshop space for startups, academic researchers, customers, partners, and in-house research teams to develop and test new products. The Boston research and development hub is focused on architecture, construction, and engineering. 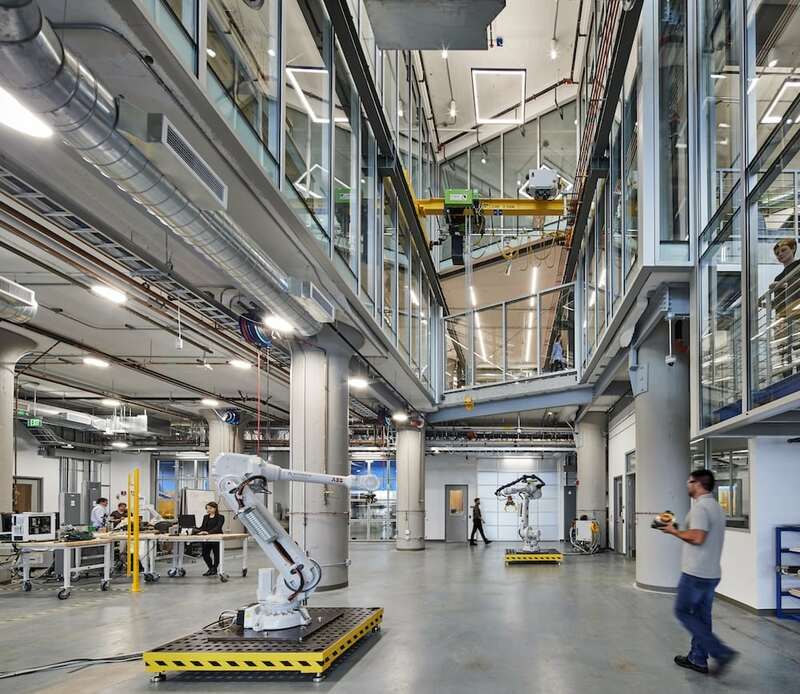 Autodesk has sister workshops and labs in San Francisco (focused on design and manufacturing software); Birmingham, UK (advanced manufacturing and R&D); and Toronto, Canada (robotics, artificial intelligence, virtual reality, connected devices, and other emerging technologies). The team at New American Public Art plans to help keep Austin weird with "Kempelen’s Owls," a permanent public art installation planned for Texas's capital. The project will feature two 10-foot-tall mechanical sculptures of Texan great horned owls, whose heads and other body parts will be able to swivel. Pictured are co-founders Dan Sternof Beyer and Bevan Weissman. Braden Leonard's right hand was amputated four years ago after he contracted an infection following a mountain biking accident. The former firefighter says he founded Hand Made Prosthetics because he was disappointed with the prosthetics on the market. 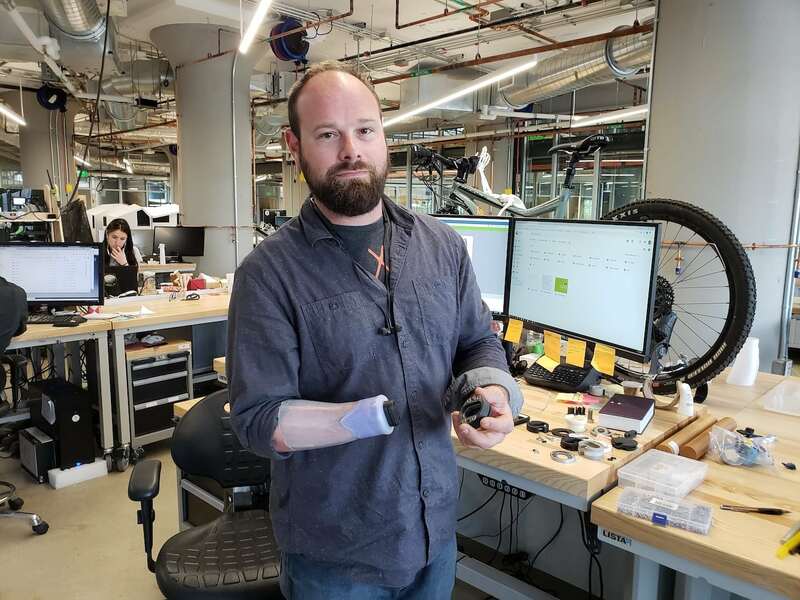 He's designing "extremely durable, relatively low-cost hardware components that would be built into custom sockets for patients by their prosthetists." Tenants receive training on the advanced equipment available in the workshop. The amenities include a room filled with 3D printers. 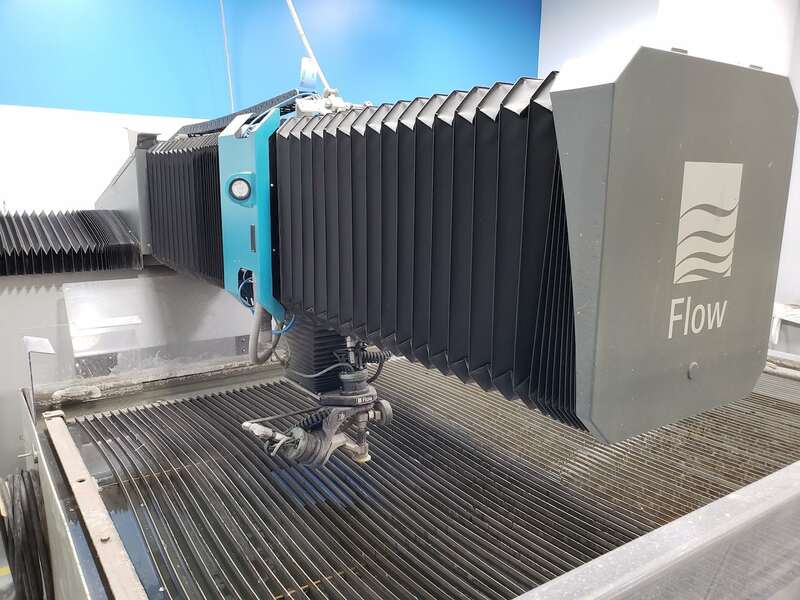 There's also a water jet machine that the manufacturer claims can cut virtually any material. Need a break from cutting stuff with water? There's an area for lounging and/or brainstorming. A refreshing change from the cliche Ping-Pong table. As a tech journalist, most of the stories I write these days deal in algorithms, cloud computing, and other digital tools. When given the opportunity, it’s fun to explore new technologies and products you can actually see and touch. 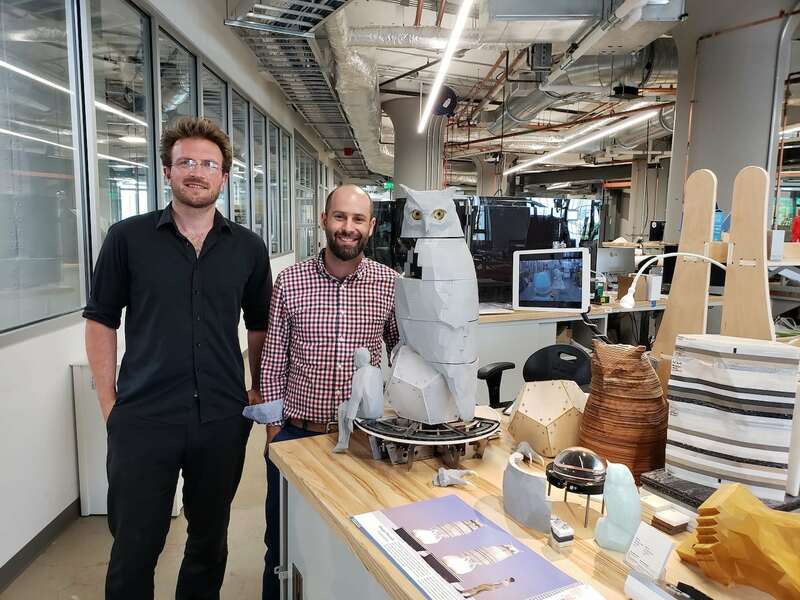 San Rafael, CA-based Autodesk (NASDAQ: ADSK) develops 3D design and engineering software, and the BUILD workshop is one of four tech incubators it operates around the world, each focused on different technologies and sectors. 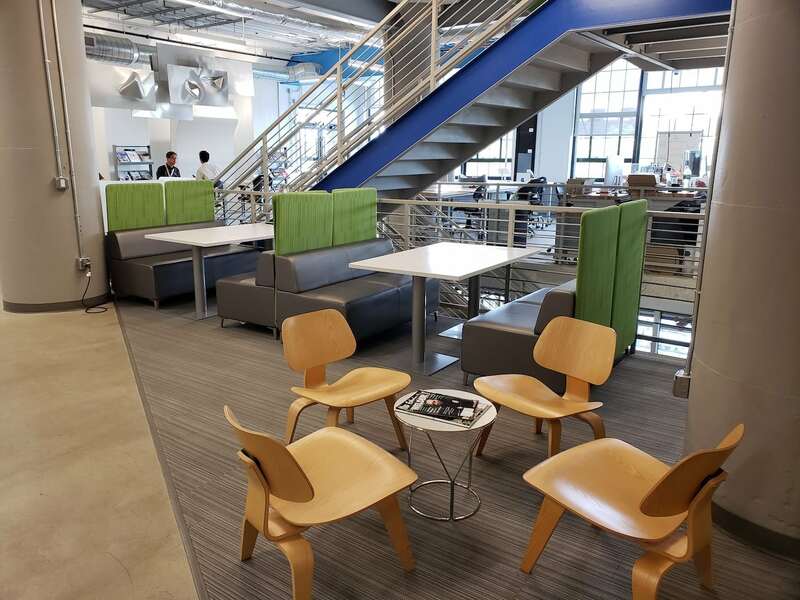 The Boston shared workspace is currently home to 31 teams working on various products related to architecture, engineering, and construction, a mix of startups, academic researchers, Autodesk partners and customers, and in-house research and development teams, Autodesk says. 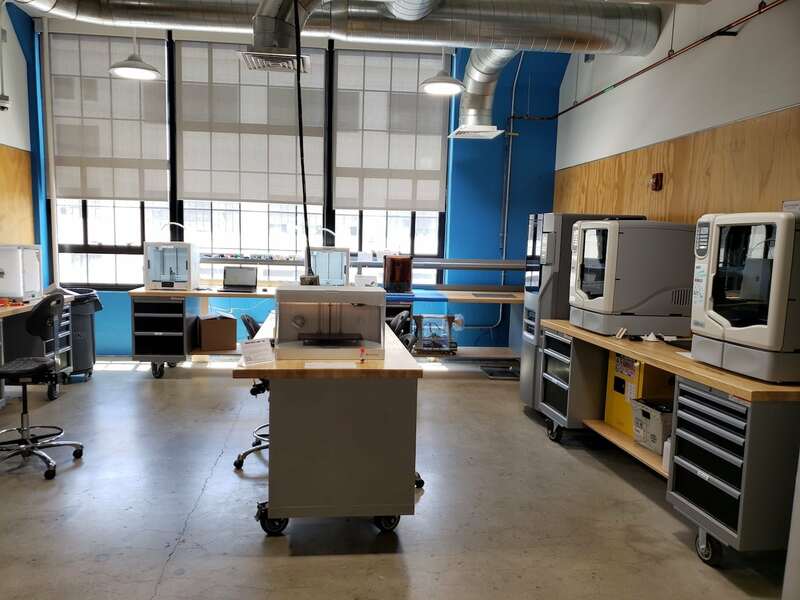 BUILD tenants have free access to desk space and more than 60 pieces of equipment, including 3D printers, laser cutters, and industrial robots. They also get to tap into the expertise of Autodesk software developers and executives. For Autodesk, it’s a chance to glimpse the future of industries it serves and form new partnerships. Of course, the company’s leaders also hope the BUILD tenants will use its software to design the products they’re developing on site. 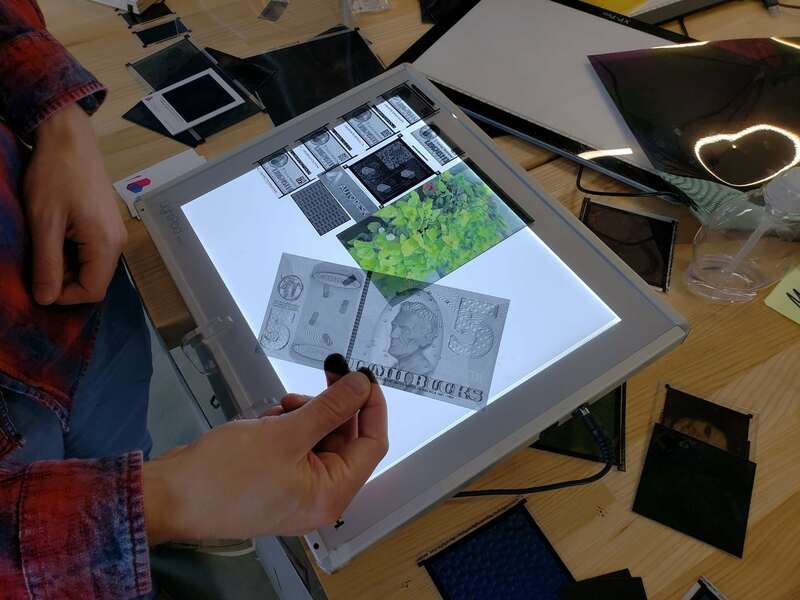 The number of shared workspaces and tech incubators in Boston and other large cities has exploded in recent years, but few of them offer the equipment and space needed to develop hardware products. Other local examples include Greentown Labs, the cleantech incubator in Somerville, MA; Bolt, the hardware startup investor that operates a co-working office and prototyping lab for its portfolio companies in downtown Boston; and MassRobotics, the robotics industry group that operates a shared workspace a couple blocks away from Autodesk in the Seaport. 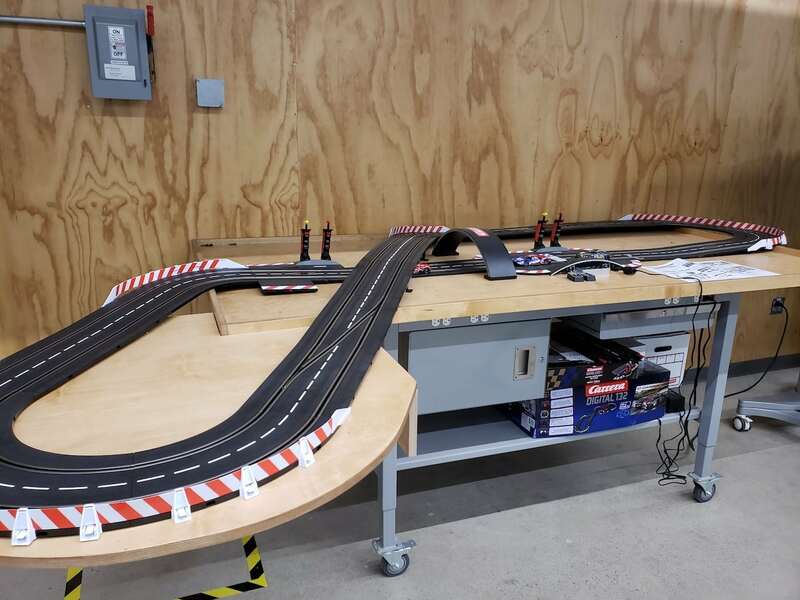 I visited Autodesk’s workshop to try and get a sense of the impact it’s having on the local innovation community. 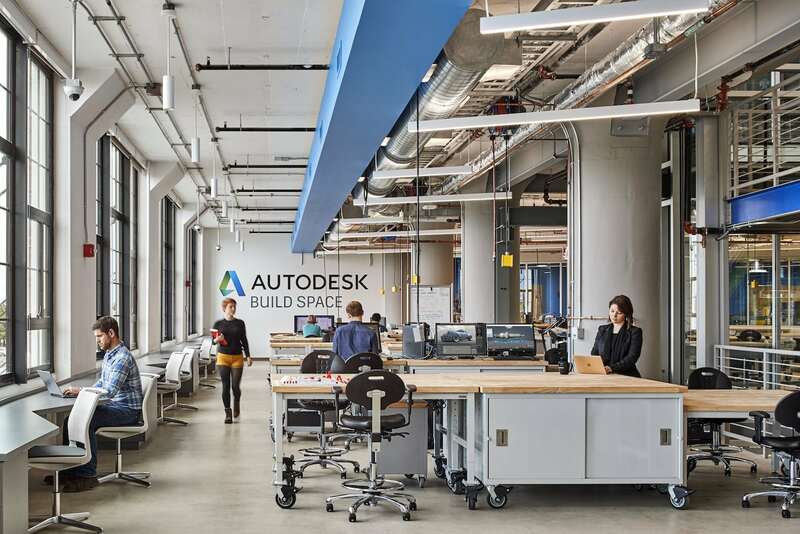 Since Autodesk opened BUILD in the fall of 2016, 75 companies and around 500 people have worked in the space, says Jim Lynch, vice president of Autodesk’s construction products group. More than 200 Autodesk employees also work in its Seaport offices, which span a total of 89,000 square feet, the company says. 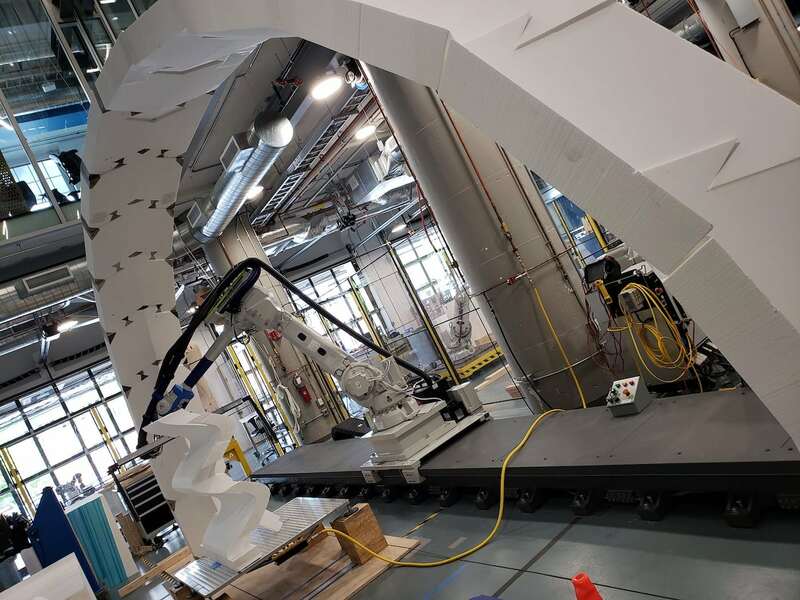 Autodesk is part of a migration of large companies from the suburbs to big cities to attract younger talent and be closer to emerging clusters of innovation. Autodesk’s Seaport operations were located in the Boston suburb of Waltham, MA, an office it gained through the acquisition of Revit in 2002, Lynch says. In Waltham, “it was harder to hire talent, especially kids coming out of school who don’t have cars,” Lynch says. Autodesk had a small tech incubator in the Waltham office, and the company wanted to grow that program, he says. The company saw an “innovation ecosystem” forming in downtown Boston and the Seaport neighborhood, and “we just felt like we wanted to be a part of it,” Lynch says. Autodesk’s neighbors include startup accelerator MassChallenge, synthetic biology company Ginkgo Bioworks, and shoemaker Reebok. During our conversation, Lynch shared several technology trends impacting his field of construction, including automation. There’s a lot of discussion about the growing deployment of robotics and automation technologies in factories and warehouses, but I haven’t heard as much talk about it in construction. It’s coming, Lynch says, thanks to companies like Construction Robotics, which is developing a brick-laying robot and a device to assist with lifting and placing heavy materials; and Built Robotics, which is developing autonomous construction equipment. “I think you’ll see robots supplement the workforce and reduce some of the safety issues on the job site,” Lynch says. Microsoft Snaps Up Semantic Machines to Push Conversational A.I.